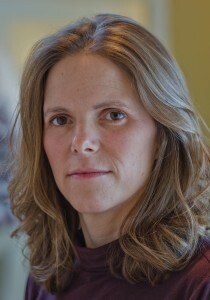 Heidi Graduated in 2000 from the University of British Columbia with a degree in Kinesiology and in 1994 from Simon Fraser University with a degree in Communications. Heidi Nottelman is a Certified Medical Exercise Specialist and Exercise Physiologist as well as a Certified Fitness Tester through the Canadian Society of Exercise Physiology. Heidi is a member of SportmedBC. Heidi has over 15 years of experience in the rehabilitation industry, with expertise in the area of functional rehabilitative exercise to assist clients to return to daily activities, work, or sport in a safe manner. Heidi has a special clinical interest in balance, vestibular and dizziness exercise rehabilitation and has extensive experience working with sport and work related injuries. She brings experience in occupational rehabilitation with ICBC and WorksafeBC clients, and has taught a variety of back health and wellness work site courses as well as academic courses at the college level. Heidi will work to design a customized program that is unique to her clients specific needs and personal goals. She believes that guiding individuals through exercise will help them develop and discover a healthier lifestyle for themselves. Heidi strives to positively educate, encourage and empower her clients and aims to provide the necessary tools to maintain an active and healthy lifestyle. She is continually upgrading her education to incorporate new research in exercise assessment and prescription. Heidi will work closely with local Victoria Physiotherapists, Chiropractors, Registered Massage Therapists, Physiatrists, Medical doctors, Chronic pain Physicians and Occupational Therapists to fully achieve her clients and conjoining therapists’ goals. She has worked with adolescents to seniors, and clients with varying disabilities (including downs syndrome, brain injury, CP, MS, vertigo/balance) as well as clients with various post-operative recovery treatment programs. Heidi has completed the Functional Movement Screening training. The Functional Movement Screen (FMS) was developed by American Physical Therapist Gray Cook. The Functional Movement Screen(FMS) is a systematic approach to assessing overall body mechanics. 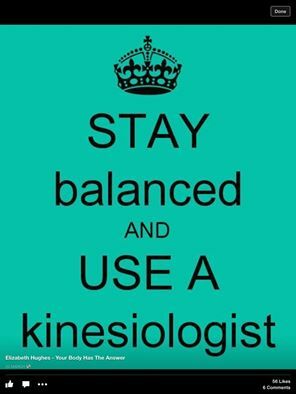 During the FMS, Kinesiologists will assess seven specific movement patterns that are necessary in order to perform efficient human movement. The movements are able to expose our weaknesses and imbalances. Even at basic levels of movement significant compensations can exist. Heidi Nottelman treats clients in the Balance, Dizziness & Rehabilitation studio at our Victoria Cook Street Shelbourne Physiotherapy & Massage Therapy Clinic located at 308-1175 Cook Street, Victoria, British Columbia.